03-03-1944 : HMS Sea Rover sinks the Japanese Matsu Maru No.1 with gunfire in the Strait of Malacca. 06-03-1944 : HMS Sea Rover sinks a small Japanese vessel with gunfire in the Strait of Malacca. 08-03-1944 : HMS Sea Rover torpedoes and sinks the Japanese transport Shobu Maru in the Strait of Malacca. 22-04-1944 : HMS Sea Rover sinks a Japanese coaster with gunfire north of Sumatra. 22-05-1944 : HMS Sea Rover torpedoes and sinks the Japanese auxiliary gunboat Koshu Maru off the southern entrance to Penang harbor. 27-06-1944 : HMS Sea Rover sinks a Japanese sailing vessel with gunfire off Penang. 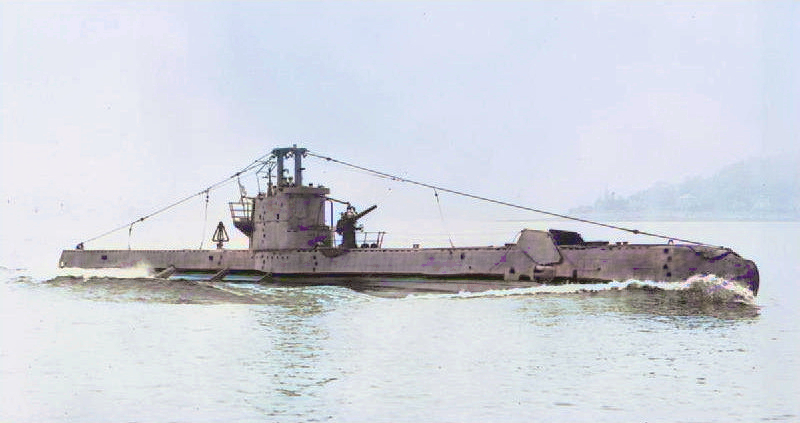 05-07-1944 : HMS Sea Rover sinks two Japanese sailing vessels with gunfire and scuttling charges off Penang. 04-10-1944 : HMS Sea Rover damages two small Japanese vessels with gunfire in the Flores Sea. 07-12-1944 : HMS Sea Rover sinks a Japanese vessel with gunfire off Surabaya, Java, Netherlands East Indies.